There are six Easter drawings included in this project. The drawings can be used by any class and with a variety of different art supplies. I have added suggestions and samples of a few ways to use the drawings, but I’m sure you’ll think of even better ways to use them. You’ll find the patterns and directions for these “Easter Art Project Drawings“ under the Easter Projects Gallery in the sidebar to the right. 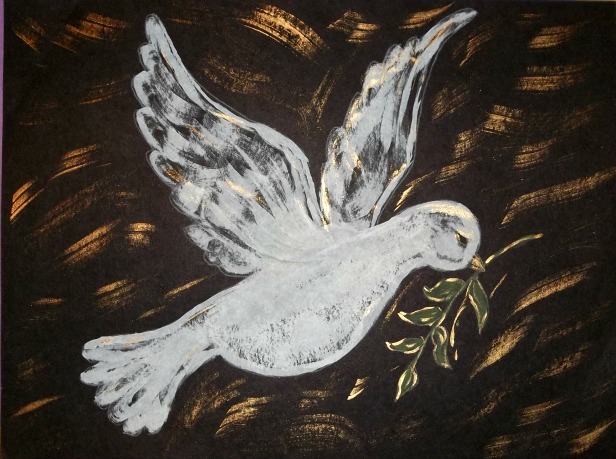 This entry was posted in Categories and tagged art project, bible, bread, chalice, cloud, cross, crown of thorns, dove, drawing, drawings, Easter, easter art project drawings, easter drawings, easter projects drawings, fishes, lily, peace dove, rays, six drawings, sun, tomb. Bookmark the permalink.